As much as you might try, you cannot always plan life and what goes on. Accidents happen and situations arise where you need urgent dental care. Thankfully there are dental professionals available at all hours of the day and night that can be called upon if necessary. However, unlike medical emergencies where there is an immediate risk to life, dental emergencies are managed and treated differently. Is the emergency dentist free? Can an emergency dentist remove teeth? Can an emergency dentist remove wisdom teeth? What can an emergency dentist do? Where is the nearest emergency dentist? If you are short of time, or experiencing a dental emergency yourself here are the key takeaways from this article. Unless someone is seriously ill or injured and their life is at risk, do not call 999. Issues related to dental health would rarely be considered necessary for a 999 response. Assess the situation and severity. Take a moment to assess how bad the dental problem is. Is the tooth chipped? Has a piece physically broken off? Is there lots of bleeding? Where there is extensive damage to the tooth, severe bleeding, severe pain, as well as tooth loss, this will need emergency treatment. If the tooth is chipped or there is mild discomfort, this is unlikely to require emergency treatment. A trauma, injury, or damage to the tooth can be painful and upsetting, but try and stay as calm as possible it will be ok. Working yourself up or being overly worried can lead to other complications. If there is lots of bleeding, the first step is to apply a piece of clean gauze, cloth or a handkerchief to the area and bite down to apply pressure. This should stem the bleeding. If appropriate, over the counter painkillers such as paracetamol and ibuprofen can normally be taken, and are excellent pain relievers. Call your dental practice for information and advice what to do, even if out-of-hours. Within office hours there is normally allowance for urgent dental treatment and emergency appointments. If out-of-hours, there is usually an answerphone message with instructions of the steps to take in an emergency situation. If you do not have a dentist you can use the NHS tool to find one. Accessible day or night, they are the best option if you are unsure whether the condition is an emergency or not. They can give information if you are unable to get clear information from your dental practice. Over the phone triage will help decide whether it can wait until regular hours or whether you need to visit the local accident & emergency department. To better understand how and why these are the steps to take, if you can spare a few minutes, it is well worth reading the whole article. Opinion can be divided on what constitutes an emergency. You may be of the opinion that a dental emergency is when a tooth has physically detached from the jaw. Others however might declare an emergency when they suffer a slight chip to the tooth or mild pain in the middle of the night. There is no hard line stance on what is or is not an emergency, but to give some idea, just 1% of dental related calls received by NHS 24 were deemed an emergency in need of urgent treatment within 60 minutes. Visible damage to the teeth. Swelling affecting the eye or the throat. The following is a list of situations where you may need to consider emergency dental treatment. We have then grouped these by high, medium and low priority, to give you an idea of how rapid the treatment needs to be. Where an accident or trauma has caused 1 or more teeth to be knocked out or lost. Where an accident or trauma has caused 1 or more teeth to become extremely loose and likely to fall out very soon. Significant bleeding that won’t stop. Severe pain that isn’t helped by painkillers. Wounds to the lips, tongue or cheeks. Swelling that affects the eye, or that affects the throat so that you are struggling to swallow or breathe. A physically damaged tooth where a large chunk has broken off, exposing the internal structures of the tooth. An infection or abscess (may be a large lump that bleeds or excretes pus). 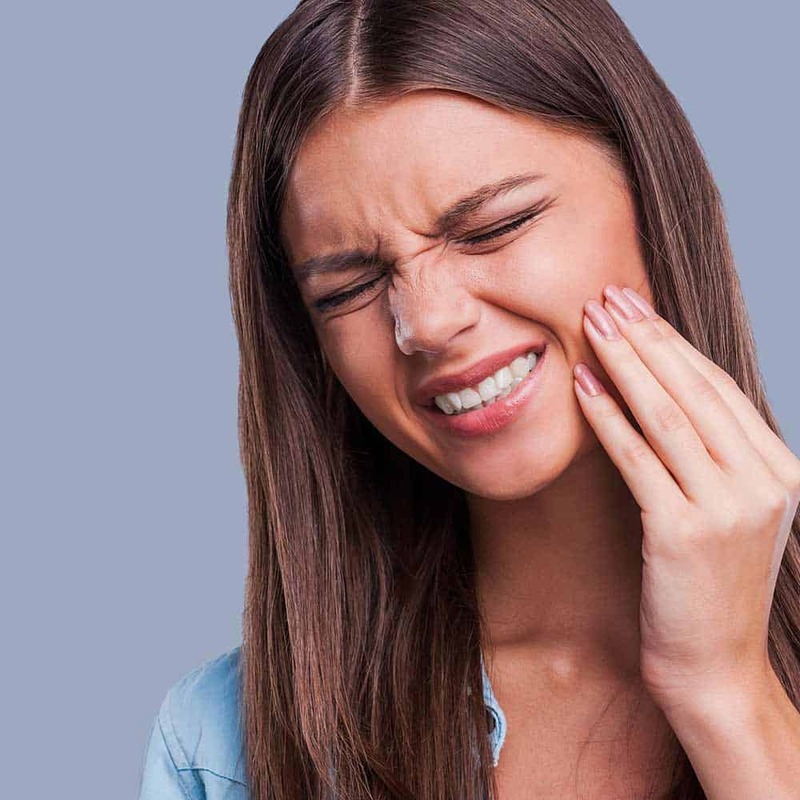 Severe toothache, swelling or bleeding that occurs soon after a recent dental treatment, such as a filling, tooth extraction, root canal, or dental implant. A tooth has been knocked out of alignment. Where multiple brackets or parts of a dental appliance have become loose and are impeding opening and closing of the mouth, or that are physically cutting into or damaging other parts of the mouth. If the teeth have sustained a significant impact, even if there is no pain. A chipped tooth, where a small piece of the tooth is missing. Loose or lost dental filling. Detached restoration such as a crown or bridge. Loose or detached brace/orthodontic appliance. These situations and their groupings are as a guide only. Seek professional opinion in your particular circumstances, but hopefully this at least helps set some expectations on around how urgently a dentist is likely to need to see and treat you. In almost all situations listed, you would likely get some priority over those seeking a regular checkup. What in your opinion would you class as a dental emergency? Anything that has to be dealt with immediately can be classed as a dental emergency. This can be anything from an abscess and facial swelling, a painful tooth to a broken front tooth before a big day! Additional figures from NHS 24 found that 75% of their dental related calls required dental care within 24 hours through normal dental practices or other dental access clinics, but not ‘emergency’ dental care. The following image gives a visual representation of how that same organisation would determine the speed of treatment required. If you, or a person you are with, is experiencing some form of dental emergency the first thing to do is check that there is no immediate risk to their life. Whilst teeth may be damaged as a result of a trauma, if the patient has a head injury or other potentially life threatening injuries, call 999. Where the emergency is restricted to the mouth and there is immediate risk to life, you need to assess issues like bleeding. If there is bleeding, a gauze or some sort of safe absorbent material, such as a handkerchief, should be placed over the bleeding area and bitten on to stem any blood loss and help encourage clotting. If painkillers such as paracetamol or ibuprofen available and appropriate, these should be taken to take to help ease any initial pain. This information is not to be considered medical advice, so please exercise caution, refer to any instructions with medication and seek professional medical assistance if required. Should a tooth have actually come out of place and is no longer connected, can it be placed back in the tooth socket? If so, do that. Clean the tooth gently and if possible, place it back where it has come out. Time is of the essence so do not delay! Unless a tooth has been lost, there is severe pain, or uncontrolled bleeding is being experienced, the likelihood of needing immediate attention is low. The next step is to consider the time of day. In almost all instances, during normal office hours it is best to speak your dentist practice first, irrespective of the severity. Based on the symptoms you describe they can advise and book you in for an emergency or routine appointment, whichever they feel is more suitable. Most staff will err with caution and only book a routine appointment if they feel it is appropriate. Almost all practices, NHS or private will have some allowance for emergency appointments. You will normally be seen the same day, if not within a few hours. If they do not have availability, they will help make appropriate arrangements. If you do not have a local dentist and are eligible for NHS treatment, use the NHS find a dentist tool available here and make contact with a practice closest to you for further information. You may also be able to find a walk-in dentist that has appointments available the same day. Should the dental emergency occur outside of normal office hours, you probably need to consider the severity. If the tooth is chipped, a filling or crown is a bit loose, or you are suffering from a mild, but bearable pain, then it can probably wait until you can speak to your dental practice when it reopens. More severe than this or you are unsure, still call your normal dental practice first. Some will have an out of hours line with staff to support you and advise, whilst others will have pre-recorded messages with clear steps to take. If you do not get a clear answer from your dental practice and remain concerned or unsure, make contact with 111, the NHS’s free urgent healthcare helpline. The trained advisors will talk through the issue at hand and complete triage whilst on the phone to you to determine the best course of action. They may advise a visit to the nearest accident and emergency department, suggest you wait until the morning, or provide alternative details of whom you should contact. As a general rule, the NHS is setup to be a little cautious, so where there is some uncertainty to just how severe a problem is, they may arrange an appointment with a dentist over the phone, set an appointment up at an emergency care centre or advise you go straight to accident and emergency. Avoid overplaying your symptoms just to get an appointment sooner. You could be restricting someone else who needs the care more urgently than yourself and places additional strains on valuable NHS resources. If you have a regular dentist you visit, you should telephone them first. Most dental practices build in an allowance for emergency appointments during their daily schedule. If you have only ever visited your dentist under a routine appointment, don’t let this put you off! Give them a call and let them know the problem so they can book you in. If they do not have availability for whatever reason, they will then advise on what you can do. If you need an out of hours dentist, again start by calling your normal practice. If you do not have a regular dentist, the first thing you can do is go online to the NHS find a dentist tool here and enter your town or postcode. It will return results of the nearest practices to you along with clear indication of whether they offer emergency appointments or not. In addition, there is all the contact information and opening times available. 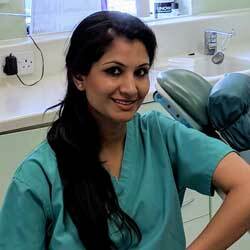 Accessing the dental care out of hours or when practices are shut is more difficult. Some practices will offer emergency care, give them a ring and see what message you get, even when the office may be closed. For those not eligible for NHS treatment, or those wishing for private care, you can consider large dental groups like https://www.mydentist.co.uk/ who have hundreds of NHS and private practices across the country. You can also do a web search for ‘Emergency Dentist in My Town’ (replacing my town with your actual location). If seeking private treatment, you must be prepared to pay the extra cost under the circumstances. The fees are much higher than the NHS. Failing this, make a call to 111 and the team of NHS staff will be able to assist you further. There is no magic fix for all types of dental pain. How the pain is managed depends on the cause of the pain and how intense it is. There are a few things you can do to ease the pain and perhaps distract you from the discomfort until you are able to see a dentist. 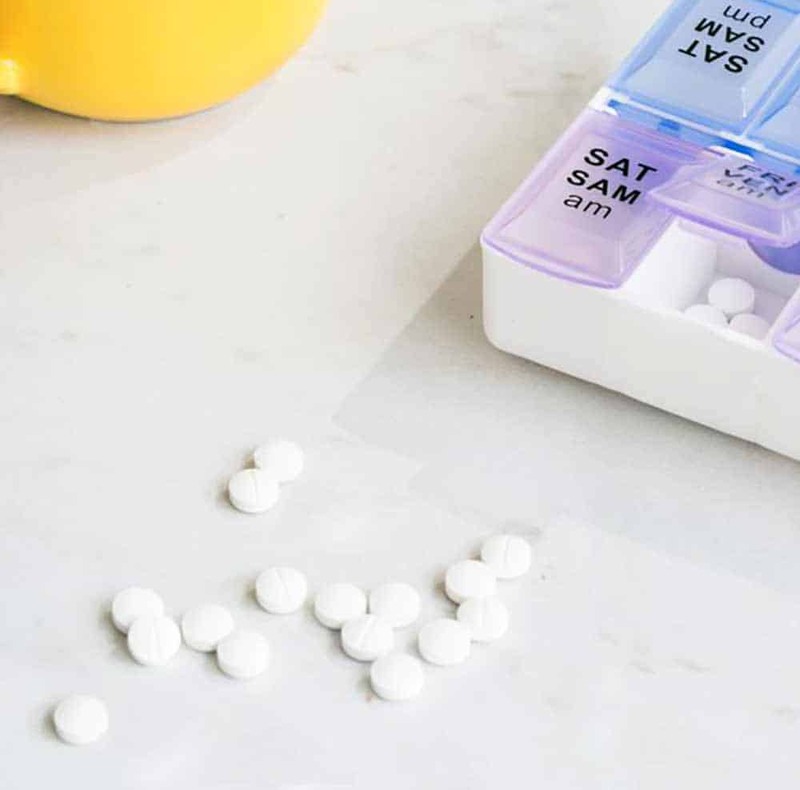 For many, the best course of pain relief is over-the-counter painkillers such as paracetamol and ibuprofen. These are both be very effective, very quickly. Always read the labels and be aware asprin can thin the blood and make any bleeding worse. You can where suitable, apply an ice pack or cold compress to the cheek to help with any possible swelling. Some people may get more relief from a heat pack. Keep yourself sat upright to help drain any swelling away from your face. Depending on the problem with your teeth, it can be worth avoiding or at least thinking differently about what you eat or drink. A small chip to the tooth might not require any change, but if you have a physically broken a large chunk of the tooth, there may well be increased sensitivity, so hot and cold food and drinks will often increase any pain. If this is the case, then try to stick to luke warm food and drink. It may sound simple, but try to keep yourself busy and distracted from the issue with your teeth. Perhaps try doing something you enjoy, reading, a sport, watching tv, films or socialising. The activity and attention required to do something else rather than sit and contemplate the pain can be very helpful. Warm salty mouthwashes also help with pain relief for cuts, swellings, and ulcers. Search the internet and you will find many ‘at home’ remedies, but we have yet to see overwhelming evidence of their effectiveness. The aim of the dentist and the dental staff during the emergency appointment will be to ease any pain you are in and provide the best possible treatment based on your particular condition. What treatment is provided in part depends on the problem you are experiencing. It is important to note that the treatment provided in an emergency appointment may well be temporary, particularly if the emergency is outside of normal office hours. Out of hours practices will not have all the same support staff and time availability that they might during normal working hours. For example, the dentist may diagnose that you have decay in the tooth, and tell you that a root canal treatment is necessary. This sort of procedure needs ample time to complete correctly and successfully, so it will have to be booked in. As such, a temporary filling may well be placed and an appointment made at a later date for that treatment. It is extremely unlikely a root canal would be completed in the emergency appointment. However, you will be made comfortable in the appointment and will be able to manage until the next appointment, whilst being reassured that the issue will be fixed. In an alternative scenario, you may have a crown or inlay come loose or break. 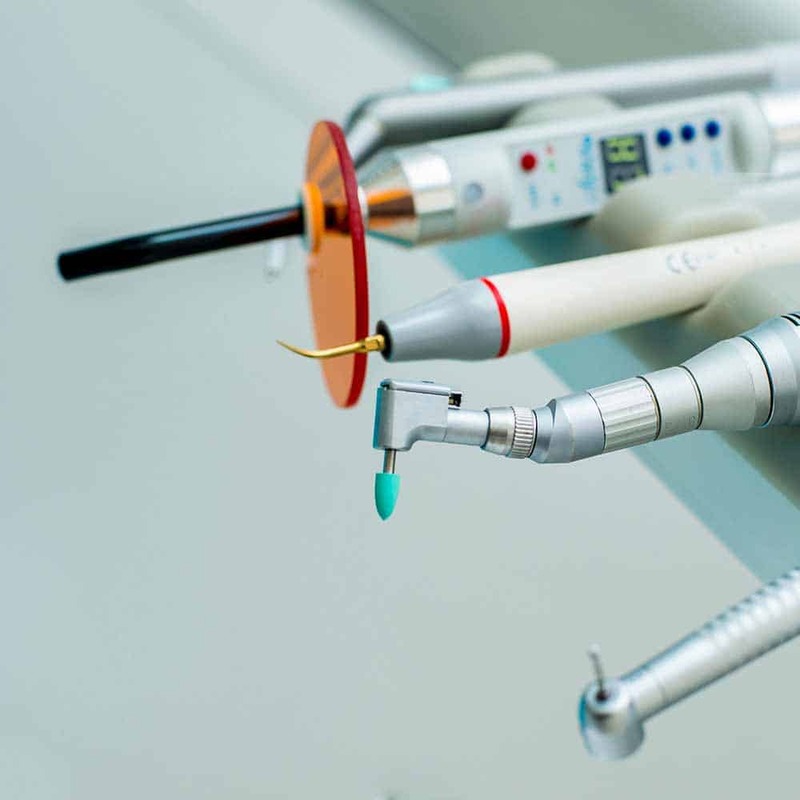 During a routine appointment, your practice may be able to make a replacement while you wait, if they are making use of state of the art equipment. However, if you go in at 2am in the morning about your broken crown, don’t expect a new one to be designed, milled and fitted there and then. Just how much does the emergency dentist cost? The answer is it depends on your circumstances. If you are eligible for NHS dental treatment, then an emergency appointment costs £21.60 (England), £14 (Wales). In Scotland and Northern Ireland the cost varies depending on the treatment provided. For this price you get any of the immediate necessary care you require such as pain relief or a temporary filling, or an extraction. Depending on what the issue was, the emergency dentist may suggest booking a routine appointment to get the issue sorted properly. Additional treatment will have additional costs. Using the earlier example of the root canal treatment, there is the cost of £21.60 for the emergency appointment and then there would be an additional cost of £59.10 for the root canal as this falls under band 2 of the NHS treatment (England). Under normal circumstances where a need for a root canal was diagnosed under a routine checkup or appointment, you would pay just the £59.10 and no extra fees for the additional appointment. Private, non-NHS emergency dentist costs will be much higher. What those costs are will depend on the specific dental practice and whether this is within normal office hours or not. There may well be a set fee for the initial consultation, then extra fees if medication or a filling is required. 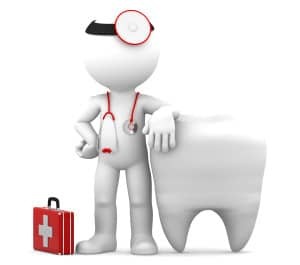 If you usually get NHS dental treatment, the private dentist may be able to give the basic emergency care, for which you will have to pay, but any additional treatment can potentially be carried out by your regular NHS dentist at a much lower cost, if you book in with them. Should you normally attend a private practice as opposed to an NHS dental office, you will be more familiar with the costs associated with such treatment. Children can injure and damage teeth just like an adult. For the most part the steps and actions taken when dealing with an emergency dental situation is the same with a child as it is an adult. Depending on the age of the child will depend on how accurately they can explain any pain and symptoms they may well be suffering. As a parent or guardian, it can be very worrying and it is easy to panic in such situations. For the sake of the child, try to stay calm and assess clearly so as not to increase the anxiety a child may be feeling. A small chipped tooth or even a loose tooth might well be able to wait until the dental practice opens. But any emergency dentist can treat a child and is not exclusively for adults. You do not need to search or find an emergency dentist for kids specifically. A ​paediatric dentist is a professional specialised in children’s teeth and in some circumstances may be required to provide permanent treatment, depending on the situation. Initially a general dentist will be able to do what is necessary to rectify the problem at hand, even if temporary. Baby teeth that are knocked out will not be replaced as doing so can damage the adult tooth growing underneath. Baby teeth that are damaged, may not be repaired, unless there is a lot of pain. That said, if the whole tooth is found then it is worth saving, just in case. If a child knocks a tooth out, there is no bleeding, and appear well and their ‘usual-self’, the the incident might not be urgent or need the assistance of an emergency dentist. It is worth getting a routine appointment for a professional opinion to make sure there are no complications or signs of greater damage than first thought. It is not uncommon for a tooth to break, and leave a piece of the root within the gum. 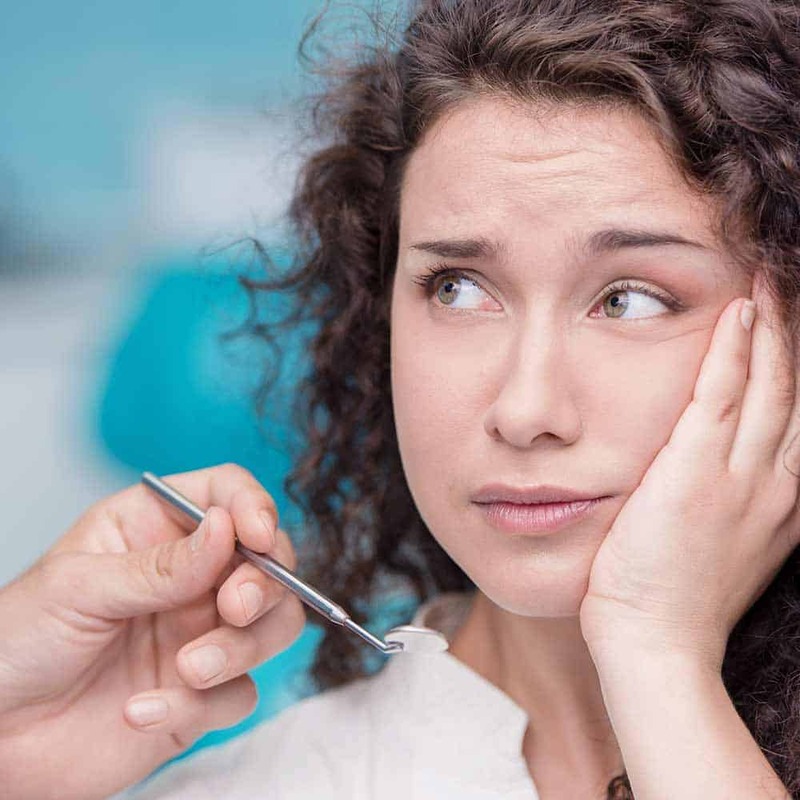 Life is full of unpredictabilities, so you cannot avoid all dental emergencies, but there are certainly some preventative steps you can take to avoid an unwanted trip to the dentist. This might not apply if your sport is golf or swimming, but contact sports like rugby or wrestling are 2 examples where the face and the teeth might take a hit. A mouthguard can help shield the teeth. A good oral hygiene routine. Brushing twice a day and flossing too can help keep your teeth in a good, healthy condition, reducing the likelihood of any issues. 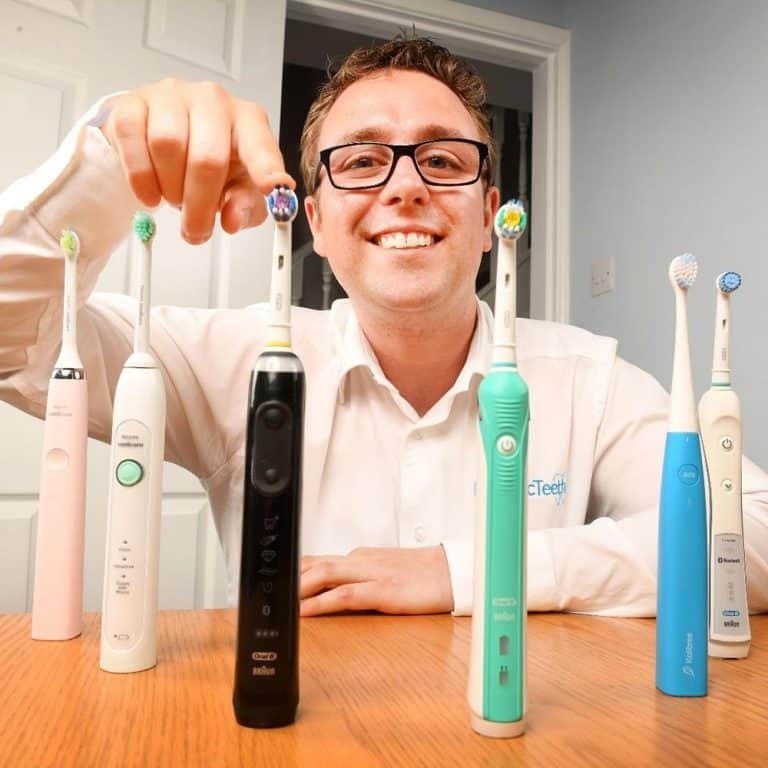 This gives an opportunity for a trained professional to take a look at your oral health. They can spot and treat issues before they become to big an issue. Don’t bite into hard foods. Particularly hard food stuff like ice, nuts and those fruits with stones in can damage teeth and fillings, try to avoid biting down hard on these. Don’t use your teeth to open beer bottles or packaging, doing so can put unnecessary force and pressure on the teeth. Don’t ignore pain and sensitivity. If you are getting regular toothache, sensitivity or discomfort in the teeth, don’t ignore this. The longer they are left the more problematic they may become. Holes in teeth don’t repair themselves. If you think you might have something wrong with your dental health, but are perhaps not sure because there is no pain, then get it checked out to be sure. Being prepared for a dental emergency doesn’t necessarily mean having to have your neighbourhood dentist on speed dial or becoming a trained dentist yourself. But, there are a few simple steps you could take, as advised below, to help ease the situation should a dental emergency arise. Have a first aid kit/emergency dental kit. Buy or create a dental emergency kit or include the components as part of a first aid kit you might have. Include things such as paracetamol, gauze and an antiseptic mouthwash. Supermarkets and chemists sell over-the-counter emergency filling kits that could be used to stick crowns back in. Be aware of what to do should you have a tooth knocked out. There are some do’s and don’ts with knocked out teeth, refer to the next section in the article to find out what they are. Make sure you are registered with a dentist. This can help speed up the process. NHS 24 reports that more than half of the adults in Scotland are not registered with a dentist. Know your dental practice operating hours. Become familiar with your dental practice opening hours and contact numbers. Perhaps store them in your phone or in a place you will remember to refer to. 48% of the 13,000 dental related calls received by NHS 24 were on Fridays, Saturdays and Sundays. Take a note of any 24 hour emergency dental practices or contacts in your area or that relate to your practice if needs be. One of the most serious dental emergencies is where a tooth is knocked out of the mouth entirely. This is technically known as an avulsed tooth. Here are some key things you should and should not do with a tooth that has been knocked out. Call the dental practice/emergency dentist for an appointment. Try to find the tooth if it has been knocked out. 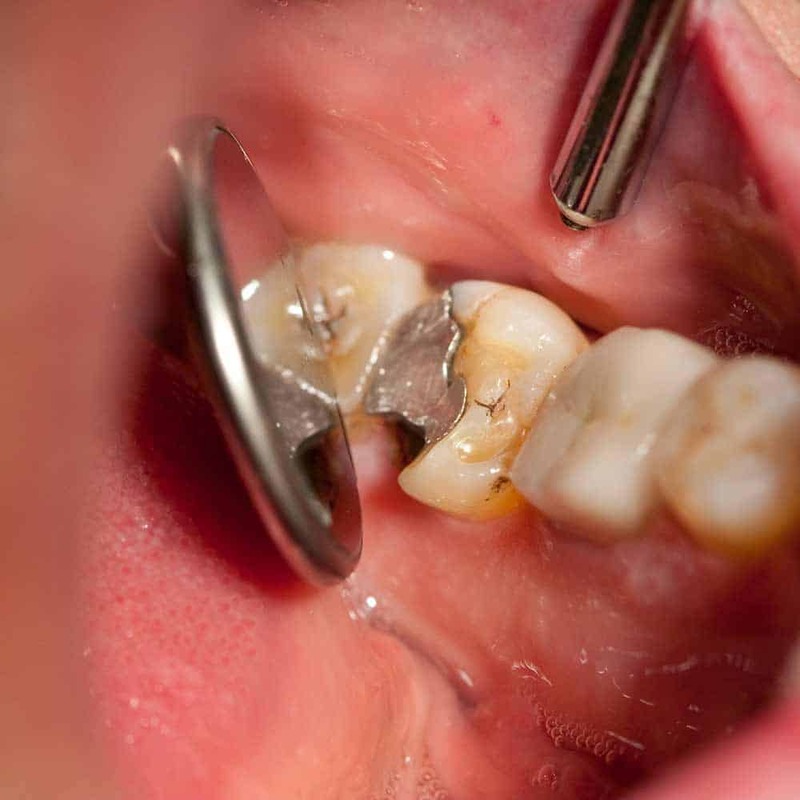 If the original tooth can be found, it can often be saved and reimplanted within a certain time frame. Pick it up by the crown (the wider top part of the tooth you can normally see), not by the root(s) (the bit that normally sits under the gum). This reduces the chance of further damage to the tooth. If dirty, gently rinse with water from the tap. Do not scrub the tooth clean. Leave any natural tissues attached to the tooth, on the tooth. Don’t dry the tooth or wrap it up. Do not wrap the tooth or cover it in a cloth or tissue this can do more harm than good. Place the tooth back in the socket, adults only. For adult teeth the best thing to do if possible is place it back in the socket it came out of. The sooner this is done the better. Bite down on a piece of gauze to help keep it in place. Do not do this with children’s first (deciduous) teeth. If the tooth won’t go back in the socket, place it in the mouth in between the gum and cheek. With children, assess the risk of the tooth being retained in the mouth and any risk to swallowing. If needed, the tooth can be stored in a clean cup in either milk or water. See a dentist within 60 minutes. The best chance of successful placement of the original tooth is if you can see a dentist in 30-60 minutes. Don’t put yourself or others at risk (rushing to the dentist) to achieve this, but avoid any unnecessary delays. Dental emergencies are treated a little differently to medical emergencies where there is an immediate risk to life. Unless there is a risk to life, do not call 999. Your dental practice should be the first organisation you call in the case of a dental emergency. Take their advice or follow their instructions on what to do. Severe pain, bleeding, swelling affecting the eye or throat or a tooth that has been knocked out all constitute a dental emergency and need urgent attention. A little mild pain that you have had for the last week, but want sorted now does not require emergency treatment. In many cases, treatment can wait for up to 24 hours, but speak to your practice or call 111 for personalised, professional advice. Be aware emergency treatment will cost and the actions of the dentist will be to stop any pain and give a temporary fix or solution to the issue until such time a permanent fix can be applied. If possible prepare yourself and be aware of what you can do should a dental emergency arise. No. If visiting an NHS dentist or private dental practice there is a cost associated. With an NHS dentist the fee (at the time of writing) for an emergency appointment/initial treatment is £21.60 (England) £14 (Wales), and varies in Scotland and Northern Ireland. For this price, you will get any immediate attention that is needed such as pain relief or a temporary filling. Should additional work be required, this will be charged at the standard rates for whatever treatment is necessary. The cost of emergency treatment with a private practice will be significantly higher and varies from one practice to another. An emergency dentist can do all that your regular dentist could or would. If a tooth needs to come out they will do that at the emergency appointment. Be aware that some procedures such as tooth removal can be complex and may require more time to remove. An emergency dentist will only do what is absolutely necessary at that time to manage the situation. This might include removing the tooth, but in some cases it may be pain relief until the extraction (if appropriate) can be booked in at a more convenient time. Don’t expect an emergency dentist to begin removing an impacted wisdom tooth. However, it is quite rare for a wisdom tooth to have to be extracted under emergency circumstances. 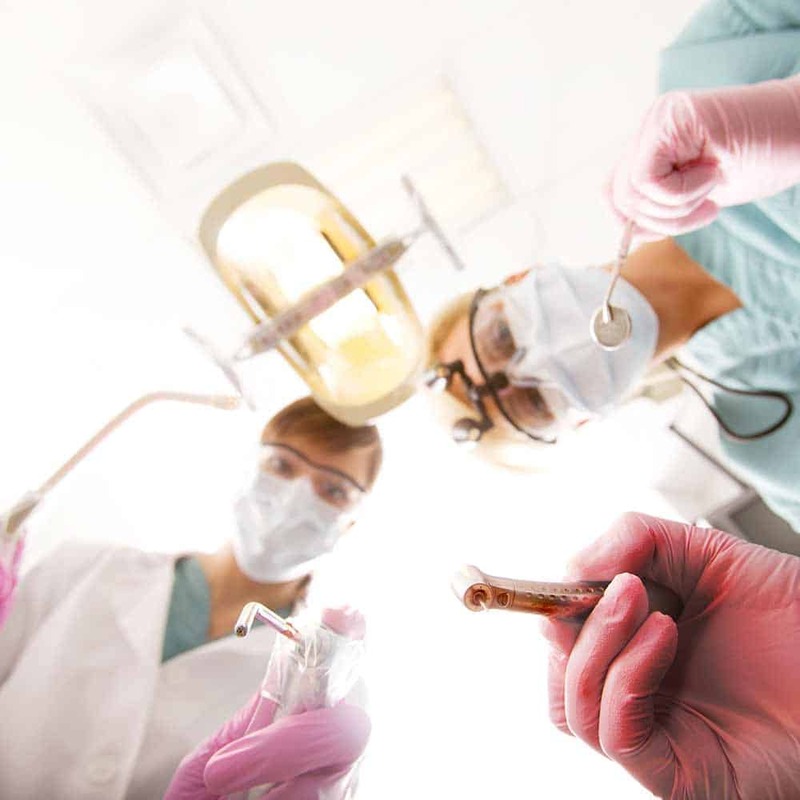 In almost all instances, the extraction can be delayed until a more convenient time is found, during normal dental office hours. Fully erupted third molars are much easier to remove, than those that have partially erupted or are impacted. Partial eruption or impacted molars need a little extra attention and can take up to an hour to remove, in some instances needing the skills of a specialist oro-maxilofacial surgeon, who is unlikely to be on call for an out of hours procedure like this. An emergency dentist can do all that your normal general dentist can and would do. Depending on the dentist on call or actually available at the time of your dental emergency, they may have other dental skills such as orthodontics, periodontics or orthodontics which they could technically make use of during that appointment, but those advanced skills are usually reserved for use during normal office hours. Emergency dentistry is most often about managing severe pain and trauma that is being suffered. If you are looking for an NHS emergency dentist then start by calling your normal dental practice (assuming they provide NHS dental care). 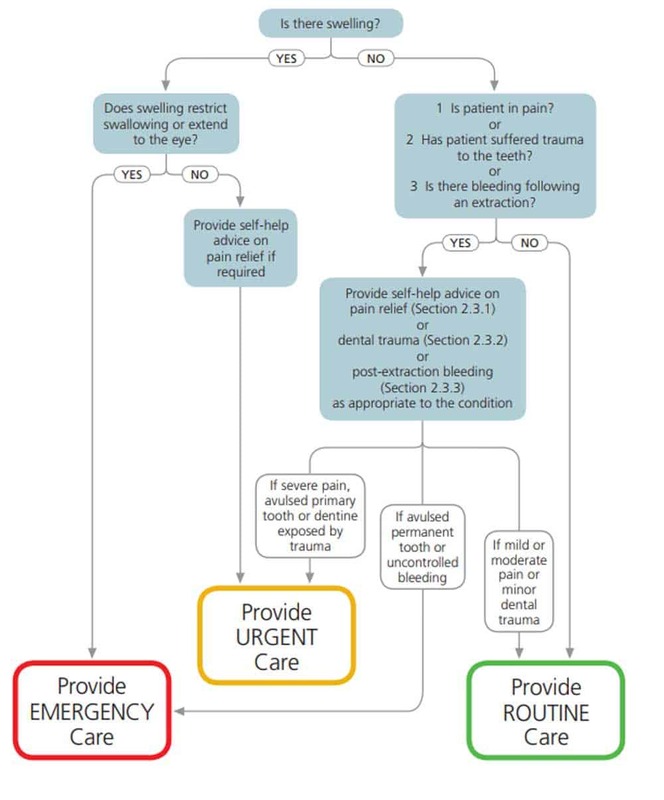 They can provide support and typically out of hours will provide via a recorded message directions on what to do in the event of a dental emergency. You can otherwise find the nearest emergency dentist near you by entering your location into the NHS find a dentist tool here or simply do a web search for ‘Emergency Dentist in My Town’ (replacing my town with your actual location) and assessing the results returned. The closest emergency dentist to you may well be private. If you are desperate, prepared to pay the fees or are not eligible for NHS treatment, then you will need to resort to this option.